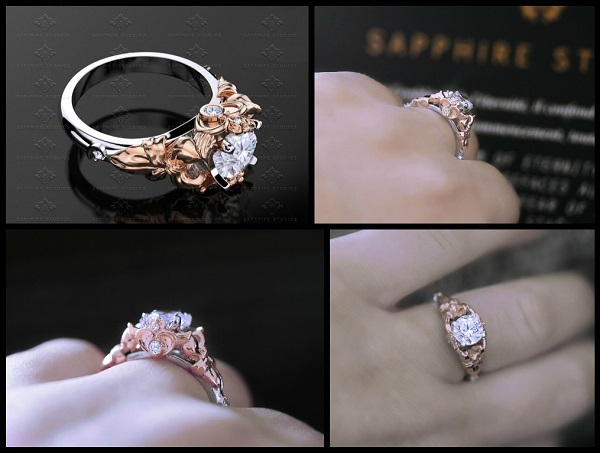 This design is inspired by the Japanese manga Sailor Moon, combining elements of Sailor Moon including the beautiful crisis brooch with a round 1.00ct centre stone. Im in love thank you so much. The opal centre is beautiful. The rose gold just really goes well with it. Fits perfectly, the details on it are beatiful. Everything about this is perfect. thank you! !